These days, apps are everywhere, from smart phones to renamed programs on PCs. Basically, they are anything not part of the operating system. 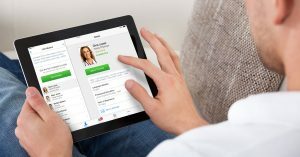 Given that 61% of Americans look for health information online, and maybe more, it should be no surprise that there are telehealth apps available. There are presently dozens of telehealth apps available for download to smart devices using all major OS platforms. Many of them proved their worth during Hurricanes Harvey and Irma. More generally, they have proven useful in monitoring health of senior citizens living alone, cardiac patients trying to lead normal lives, and veterans who may be many hours away from their nearest VA clinic. The only limits found thus far are in the imagination of people developing telehealth apps for release to the public. That is, they can be highly specific or generalized for almost any purpose. It may rightly be pointed out that a significant number of people, even here in the US, still lack access to broadband internet, and that this might limit accessibility to telehealth apps. However, this ignores the fact that 77% of Americans have at least a basic smart device today. This means that the app market is wide open due to Wi-Fi access and mobile networks largely picking up the slack for the lack of broadband internet. This is especially the case as more localities around the world adopt the Smart City model of access. Healthcare professionals have already seen telehealth in operation and many are adopting the medium because it lowers costs for patients and providers alike, improves quality of care, and means more patients have access to healthcare. 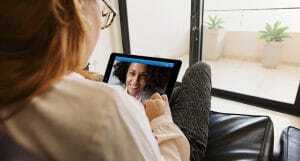 Best of all from adopters’ perspectives, is that telehealth apps often improve patient health outcomes in both physical and mental health spheres, reducing admissions by as much as 25%. 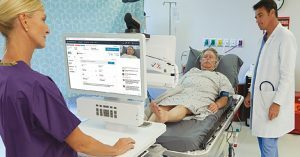 Those who have adopted telehealth, some going entirely virtual, have noted that their practices flow more smoothly and that it reduces the workload in other areas. There is the added benefit for all concerned that unnecessary visits are avoided. This means doctors and other healthcare professionals can focus on those who genuinely need assistance while reassuring those who do not. The apps are already out there in wide use. The only question is finding one that fits the needs of the healthcare professional and their patients.